Lizzie recently left her job in Amsterdam to come back to the States. Before she came home she decided to try Workaway, an exchange experience where travelers work for free lodging. 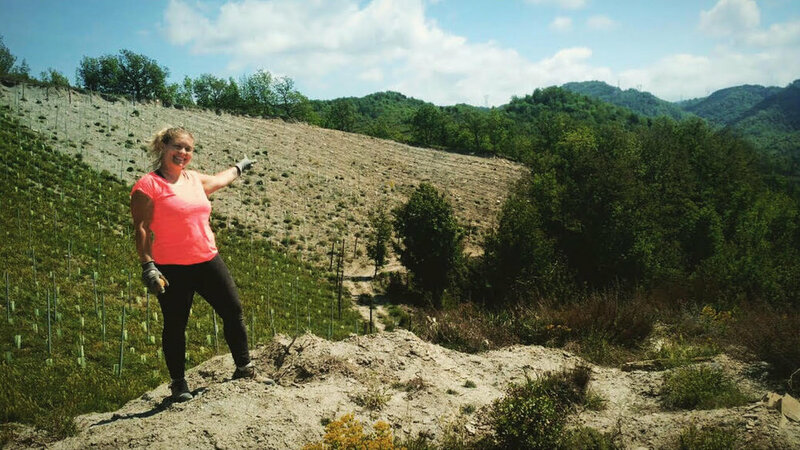 For one month she worked and lived on a vineyard near Genoa, Italy!She wasn't sure if that was considered solo travel but I said yeah, absolutely! You're by yourself living with a family in another country. This was the campo I worked on my first day. They had about 7 different campos (or fields) we worked out throughout my time, but this one was the most beautiful! One of the many beautiful days where the volunteers, from the U.K. and Argentina, had lunch al fresco with the family in their backyard. 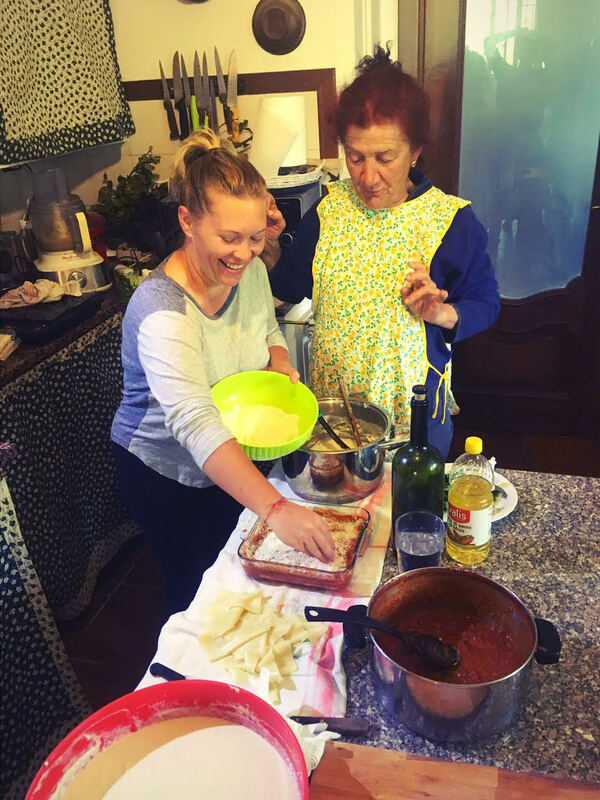 On Pasqua (Easter) Laura, our host Mom, welcomed me in the kitchen to help her make Lasagna! This was Pasqueta. In Italy they celebrate Easter and the day after Easter so we had about 20 of Lorenzo's friends come visit from all over Italy. The Argentinian couple did a big traditional BBQ with 20 kilos of meat! Lorenzo loved teaching us local phrases. My favorite was one for 'mind your own business' which even came with its own hand gesture. The boys were demonstrating here. This is Ben, Jayden, and Jules, three of the other volunteers at the Workaway. We decided to sneak away for the day and headed down to hike in the Cinque Terre! This is Lorenzo, Joe, and Christine. One rainy day Lorenzo took us all to check out this old fortress in Gavi. This was taken my last working day on one of the vineyards. Lorenzo and his dad took me out on our own so I could help them plant the new vines! It was really hard work, but I loved looking at the campo and knowing I helped to make something new!